Now The Details: Choosing Between Apps and Journalism? 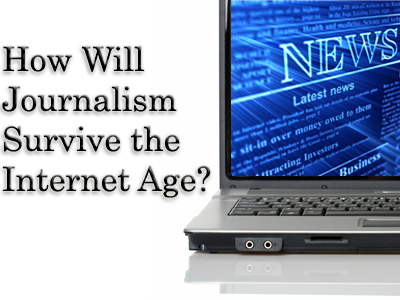 Choosing Between Apps and Journalism? A fascinating discussion have been launched by the Washington Post ombudsman, Patrick Pexton. Patrick has lamented (in a very sophisticated way) the rapid introduction of new apps on his newspaper's website. He claims that the blur of technological advances is leaving many Washington Post readers behind and worse, simply confused by the onslaught of new ways of consuming media. early adapters many of whom work for the Washington Post online and for other newspapers. Patrick explained what he meant in a further discussion here. In summary, he is not opposed to innovation. Only to the inability of the Post's website to make all the bells and whistles work effectively. I think Patrick raises an important point (and appropriately so for an Ombudsman) whose job it is to give voice to the paper's increasingly frustrated online readers (myself included). News websites can be models of clarity and concision. Too often they are not. Instead, they are a jumble of stories and connected apps that seem to be engaged in a mutual battle for limited space on a space viewing area, but without a compelling editorial reason. A newspaper's core readership is older and I assume a bit less adept than a 20-something in how to intuitively handle the flow of information. Patrick provided a real service to that audience by simply asking if the cyber-innovations are more to demonstrate the cleverness of the online staff, than to meet the audience where it is, in order to give them a more helpful reading experience. Some days, news websites feel more like high tech trade shows than a place to be informed. On the other hand, NPR has now produced an amazing app for your car radio in collaboration with Ford. All you have to do (it seems) is tell the radio verbally what you want to hear and voilà - you are listening to your favorite radio show or your preferred live stream from any number of public radio stations around the US. It looks (and sounds) amazingly easy. As long as drivers don't get distracted with the range of choices. But Internet radio in your car is coming to a dealership near you - and soon.